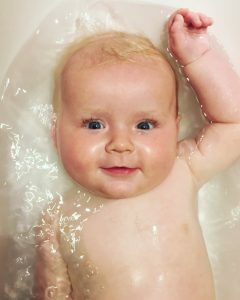 On the 18th April 2018, our little Benjamin choked on a piece of apple and went into cardiac arrest. That evening he was transferred to the Paediatric Intensive Care Unit (PICU) st St Georges Hospital in Tooting London. He received round the clock medical care from the medical and especially the nursing staff. The dignity and dedication shown to Benjamin and us was humbling. Our little Benjamin did not make it and we made the heart wrenching decision to allow his organs to be donated to help give the gift of life to other children of similar age. At 4:50am on Tuesday 24th April his heart beat for the last time. Our little angel donated his heart, his liver, both Kidneys, pancreas and small bowel. Nothing can fill the huge void we have in our hearts for Benjamin but we knew we had to make the decision to help other families in desperate need of a matching organ donor. Benjamin was the happiest little boy any parent could have wished to have. His smile will be remembered forever. No parent wishes to have to spend time at the PICU or to have to make a decision to donate their child’s organs, but the team at the PICU including the NHS organ donation team are all just such lovely caring people who do everything they can to help your child get better. Thank you. A big thank you to all of our patients and parents for sharing their pictures and stories here. With best wishes from our team. PICU @ St. George’s Hospital, London. 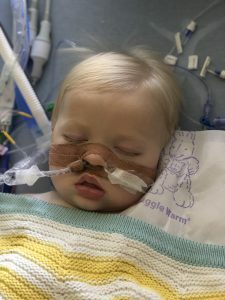 This entry was posted in Patient Journeys, Uncategorised and tagged Benjamin, critical care, life support, Organ Donation, paediatric critical care, Patient Stories, PICU, St George's Hospital PICU. Bookmark the permalink.